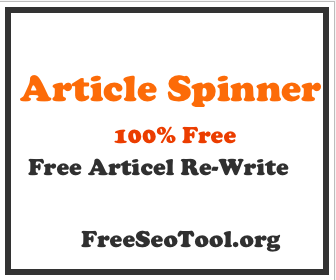 With this free tool, you can count how many outgoing links are present on the particular page. It is easy to enter the URL for that particular web page then click a button. You can use the link count checker for number of various purposes. Most commonly, the website owners may wish to check how many external links are there on the particular webpage to make sure of the quality because it not good to publish too many of the outgoing links. How Links Count Checker Works? Several links are present on a website which leads to another web page. Some websites allows the user to submit their content directly to a website and they also mention some links in their content. So, it’s difficult to count the exact number of links present in a website. To count the exact number of links in a website whether internal or external links, website links count checker tool is used. Sometimes too many external links decrease the quality of the website as the visitors gets to view more links rather than the original content. So, for this purpose also this tool can be used, as the website owner can easily remove unnecessary or repeated links from the webpage after getting all the details. To use this tool, a user need to submit the domain name and the tool will display all the links present in a webpage. Why you should use our online website links count checker tool? The main reason behind the use of SEO tools is to get accurate results so that major steps can be taken to improve the quality of a website. Any wrong details provided by SEO tools can lead to unnecessary costs as the website owner will try to remove the issue. So, it’s better to use website links count checker tool by Free SEO Tools as it provides the most accurate results rather than any other tool. Moreover, our tool is easy to use and is capable of providing results in fraction of seconds. In order to use our tool, a user needs to submit the domain name and as a result our tool will show the total number of internal links and external links present. Finding about these links can prove to be quite useful while running a SEO campaign. Reliable tips for avoiding unnecessary links in a webpage? All the users who visits a website wants more and more informative content to be displayed rather than the links. Some users think rather than visiting to a new link, they should visit to another website where content will be easily available. This is the first reason to use this tool so that major steps can be taken in future if more than links are present in a website than required. Another major reason is to provide ample space for the major content, so that the visitor can easily read the content without any difficulty. All the links present in a website acquires some space in a webpage and if more than required links are present then lot of space is wasted in it and the space left for major content is reduced. The visitors will get distracted by the other links as the content and the links are displayed side by side. The visitor will not prefer to website again because of the improper layout of a webpage. So, use the website links counter checker tool to adjust the layout of the webpage as well as to improve the quality of the webpage too. Copyright © 2016 FreeSeoTool.org. All rights reserved.